Divergent, Insurgent, and Allegiant by Veronica Roth. After the crazy success of the Hunger Games trilogy, it seems like dystopian fiction has been on a YA joy ride the past few years. The Divergent trilogy, set in Chicago, is one of the better series in this genre—at least according to my son, who is an avid reader of all things dystopian. While I loved the first book, I felt that the latter two lacked the taut plot of the first and gave way to some heavy-handed moralizing. Still, as I read them, I kept thinking about how much fun it would be to teach these books to middle-school students. 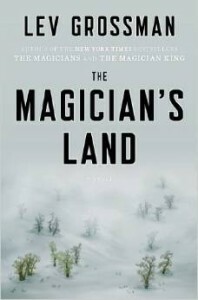 The Magician King and The Magician’s Land by Lev Grossman: These are the second and third books of a trilogy that starts with The Magicians. They’re like Harry Potter meets the Chronicles of Narnia, but for adults. Definitely for adults. I wouldn’t want my kids to read them until they’re well into their high school years. These books aren’t just pulp, either. Grossman is a fantastic writer with a sharp wit and vivid descriptive powers. Once I started reading, I didn’t want to stop. I just wanted to remain in them, living in them, surrounded by their magic. Civilization and its Discontents by Sigmund Freud: I’m pretty sure I was supposed to read this book for a class in graduate school, but I never got around to it. It has been sitting in mocking judgment on my bookshelf ever since—well, until this year when I finally dusted it off and plowed through it. In this surprisingly small book, Freud extrapolates some of his theories of the psyche to whole societies. One of the more interesting ideas in it is the narcissism of small differences, which I remember hearing a friend talk about, unattributed, a few years ago. 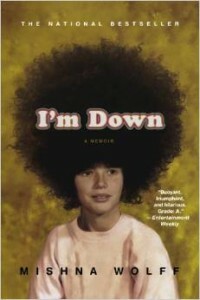 I’m Down by Mishna Wolff: This is a hilarious and heart-warming memoir about an awkward Jewish girl growing up in an African-American neighborhood. The Catcher in the Rye by J. D. Salinger: When I admitted that I couldn’t get through more than ten pages the first time I tried to read this book in my early twenties, my sister-in-law Michelle bought me a copy and told me to try again. I’m glad she did. I suppose I had been too close in age to the protagonist, because I hated the little punk. This year, however, I had such a tender spot in my heart for the poor misguided soul. A few years and a little perspective can really change the way I read something. This year I’m going to try a little harder to break through my writer’s block and post a few more blog entries.